OC Restaurants Serving Porthole Cocktails. Have You Tried One? Home 2019 Three’s A Trend: What’s a Porthole Cocktail? Three’s A Trend: What’s a Porthole Cocktail? 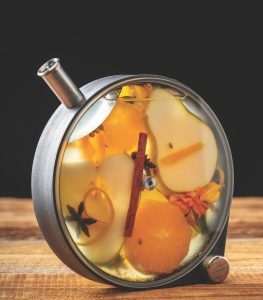 Inspired by the windows on ships’ hulls and used for infusions, the porthole provides a view of the fruit, herbs, and spices. Previous article6 of the Best Juice Shots in the County!